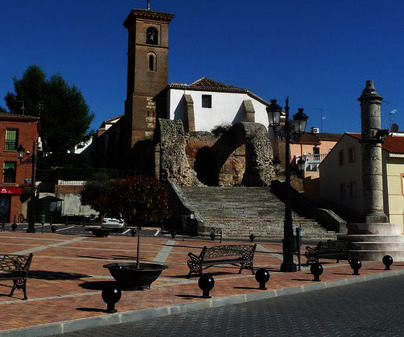 In the land of Torrijos, we find this crossroads of the ancient Roman road between Mérida and Zaragoza, and what is now the crossroads between the Extremadura highway that goes to Portugal and the national highway 403 that joins Toledo and Ávila. This beautiful Toledan town is 41 km from its capital. 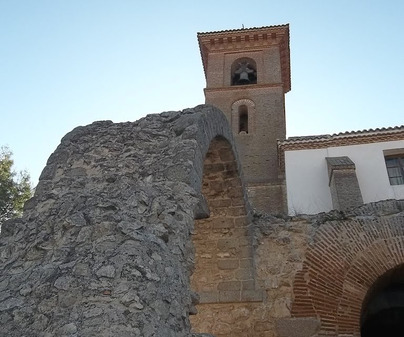 It is an ancient land, to which its preserved buildings testify, such as the Torre de la Vela (watchtower), part of what is preserved of the ancient Muslim fortress, declared an Asset of Cultural Interest in the category of monument. 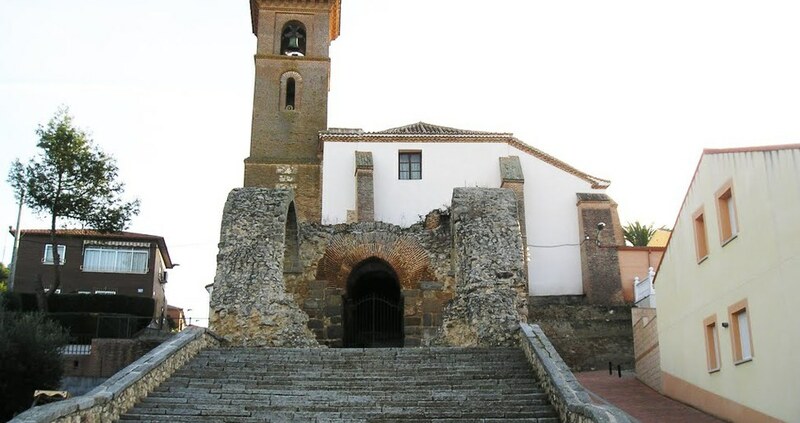 The marvelous parish church of Santa María de los Alcázares from the 15th and 16th centuries has also been declared an Asset of Cultural Interest. 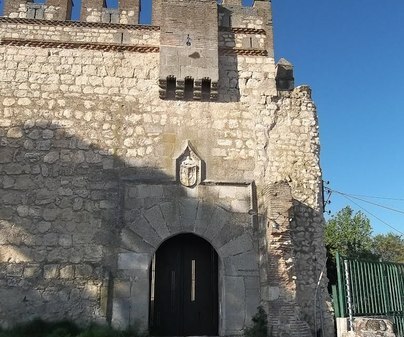 Pride of its own and envy of outsiders, it has at its entryway a Caliph door, unparalleled in all of Castile-La Mancha. Inside it has a Baptistry decorated with lattice and geometric forms with a mudejar influence, a baptismal font with a Corinthian capital, a Main Altarpiece from the Berruguete school, and an altar front with Talavera tiles from the 16th century. For times outside the mass schedule, inquire at the City Hall. 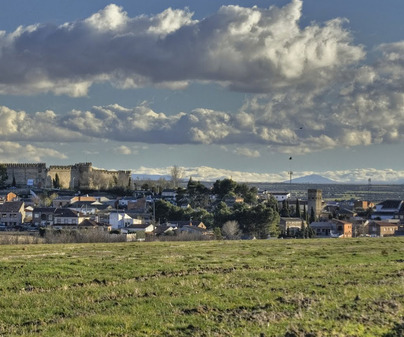 Maqueda was a place of adventures and misadventures for Lazarillo de Tormes. 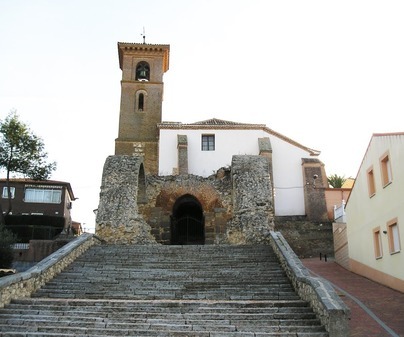 But surely he was also impressed by its castle, at the top of a hill, and the current House-Barracks of the Civil Guard. 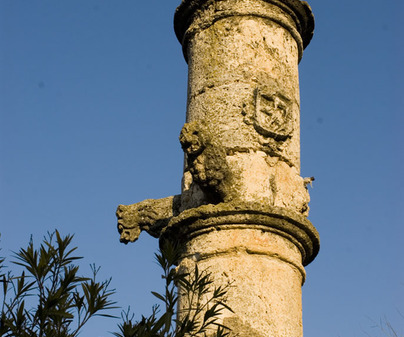 Or by its justice pillory from the 16th century. If you can, don’t miss the festival of Moors and Christians, which is celebrated every 30th of April.